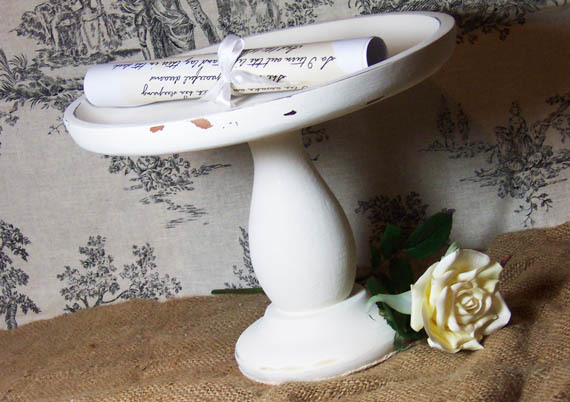 I’ve always loved looking at the gorgeous cake stands people make out of recycled items. I had a few wooden ‘plates’. 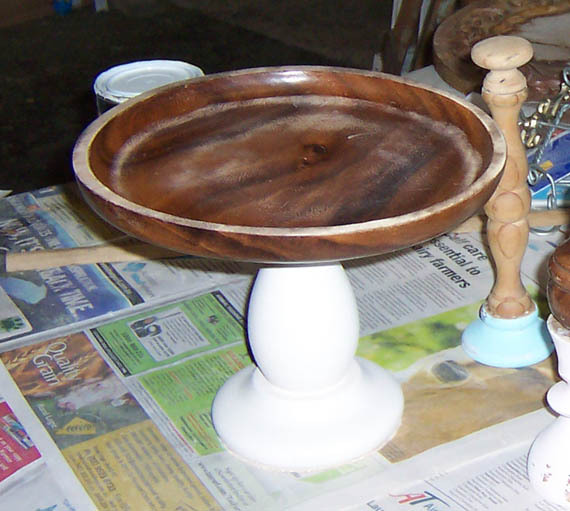 And I had a few lamp bases and large chunky candle holders. I figured “I can do that!”. So I did. 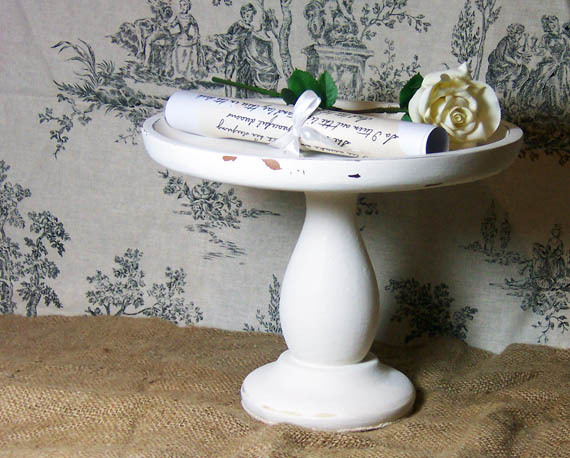 A chunky candle holder and a wooden plate I’d painted yellow originally and disliked. 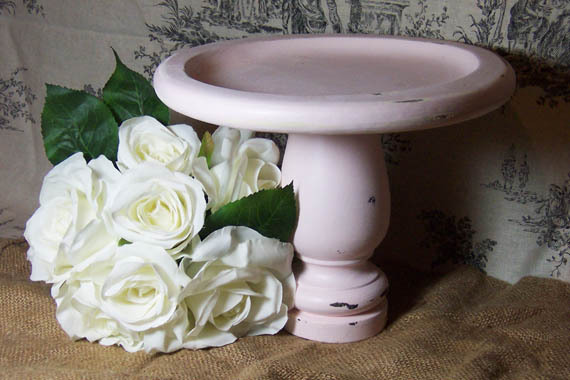 After: painted pink in its new life as a cake stand. Here’s the other one. A white one this time. 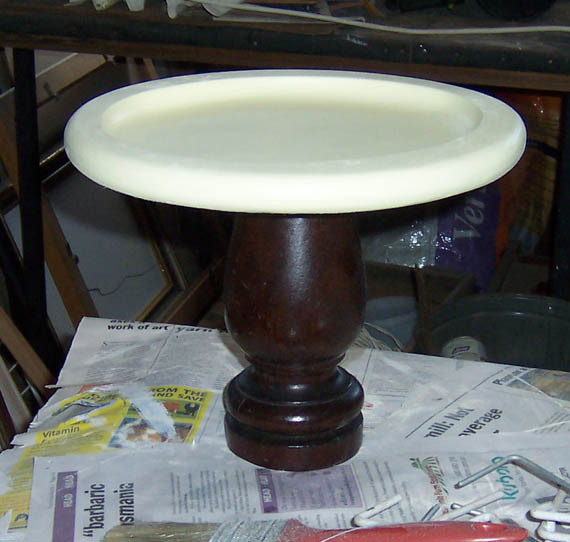 Before: a lamp base and a wooden plate. 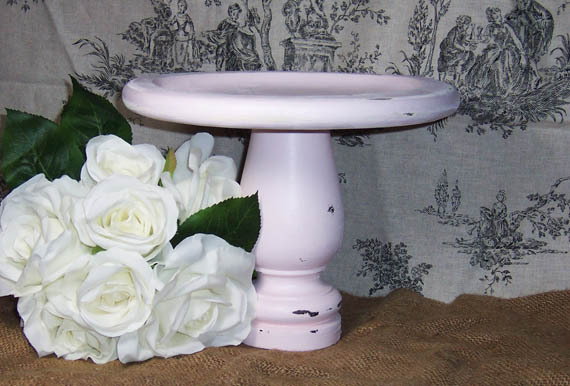 After a pretty white cake stand. These are so cute! I'm on the hunt for parts!! !